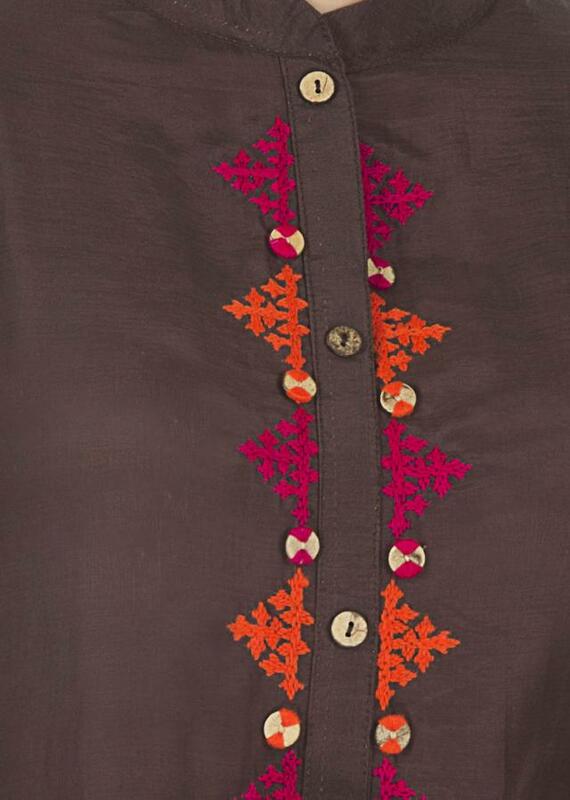 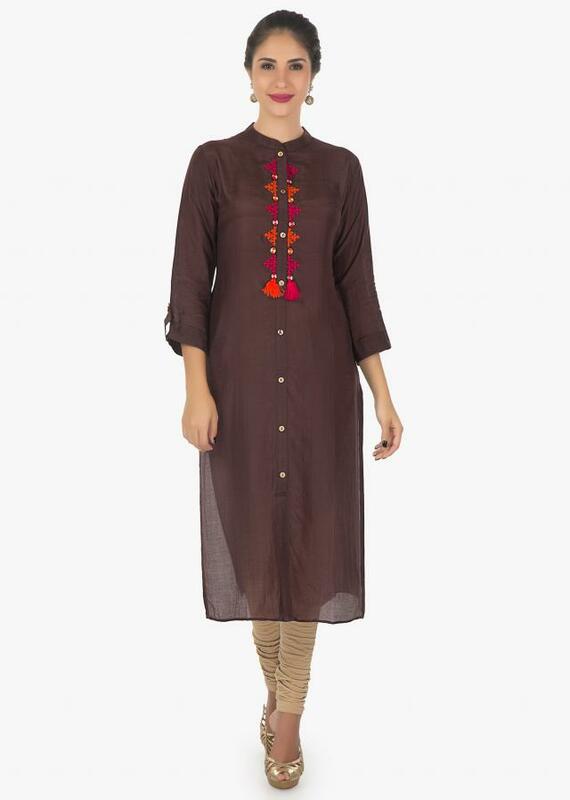 Brown kurti featuring in chanderi cotton. Enhanced with wool thread embroidery. 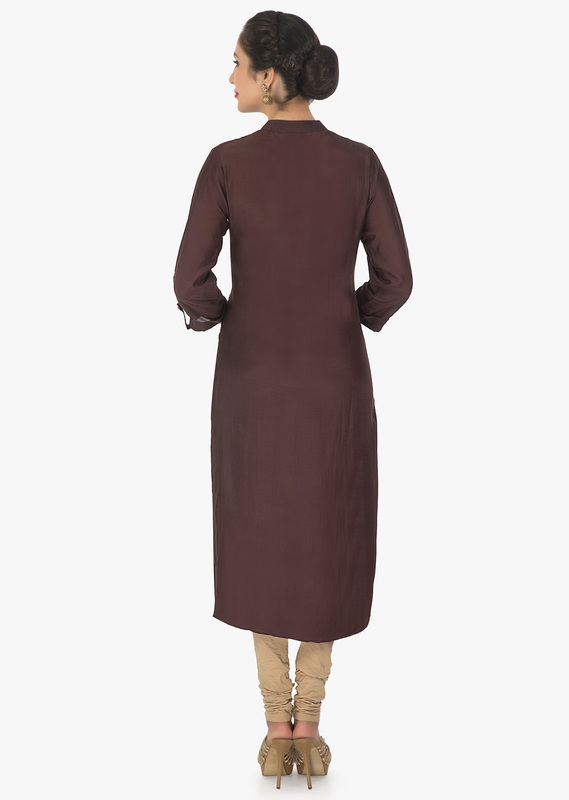 It comes with 3/4 sleeves.